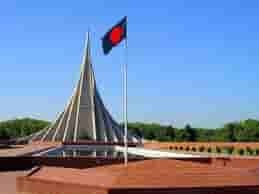 Saifur Rahman was born in Bahar Mordon village of Moulvibazar district in 1932. 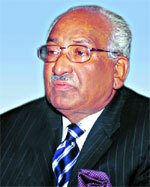 He obtained graduation from Dhaka University in 1953 and completed Chartered Accountant (CA) degree in 1958 in London. Saifur Rahman participated in language movement in 1952 when he was the vice-president of the Dhaka University’s Muslim Hall. Saifur Rahman was the president of the Institute of Chartered Accountants of Bangladesh (ICAB), principal of Bangladesh Institute of Law and International Affairs and president of Bangladesh Jatishangha Samiti. 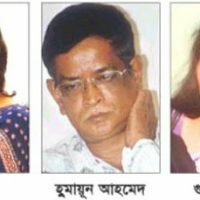 He joined the “Jatiyatabadi Gonotantric Dal” formed by late President Ziaur Rahman and later joined BNP. 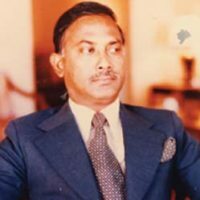 He served Bangladesh government as Finance and Planning Minister for three terms from 1976-1982, 1991-1996 and 2001-2006. 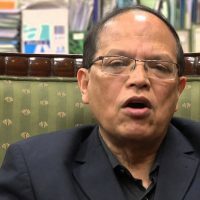 He also has the unique record of preparing 12 out of the 36 yearly budgets since the independence of Bangladesh in 1971. He presided over the golden jubilee conference of World Bank and IMF as elected governor in 1994 at Madrid in Spain. Saifur Rahman was awarded Ekushe Padak in 2005 for his role in the language movement. He left behind three sons and a daughter to mourn his death. One of his sons, Naser Rahman, was also a Member of Parliament.